We are recruiting highly motivated postdoctoral, graduate, and undergraduate trainees. Click the "Contact Us" link above for contact information. 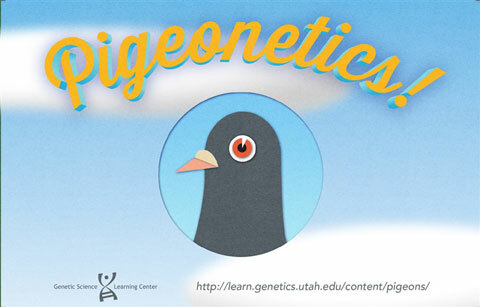 Play the fun new virtual pigeon breeder video game and explore heredity at the Genetics Science Learning Center website! Members of the pigeon hobbyist community are urged to contact us about our ongoing pigeon genetics project. See the press coverage of our recent publications here! What are the genetic and developmental origins of unique traits in natural populations and species of vertebrates? In most cases of trait evolution in natural and domesticated species, we do not know how many genes are involved, which genes are actually responsible for morphological change, whether alterations to these genes affect coding or regulatory regions, or whether the same genes are involved repeatedly in the evolution of similar traits in different populations and species. Our work addresses these major issues. E.F. Boer, H.F. Van Hollebeke, S. Park, C.R. Infan D.B. Menke,M.D. Shapiro. 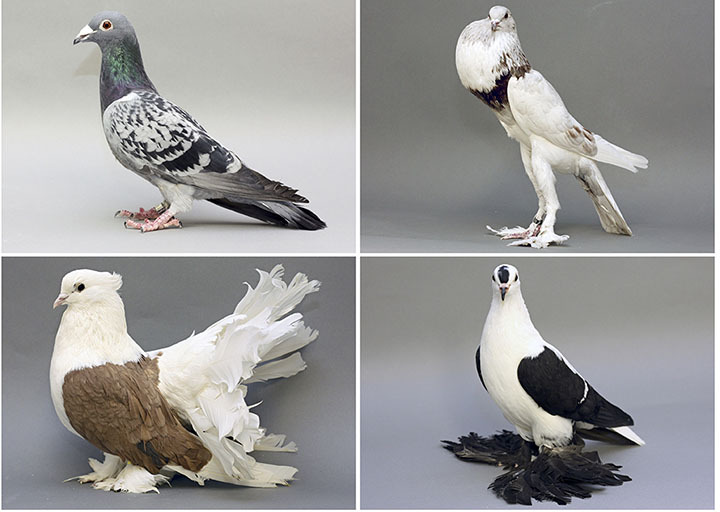 Pigeon foot feathering reveals conserved limb identity networks. bioRxiv. S.E. Bush, S.M. Villa, J.C. Altuna, K.P. Johnson, M.D. Shapiro, D.H. Clayton. Host defence triggers rapid adaptive radiation in experimentally evolving parasites. Our Science @ Sundance reviews are out! 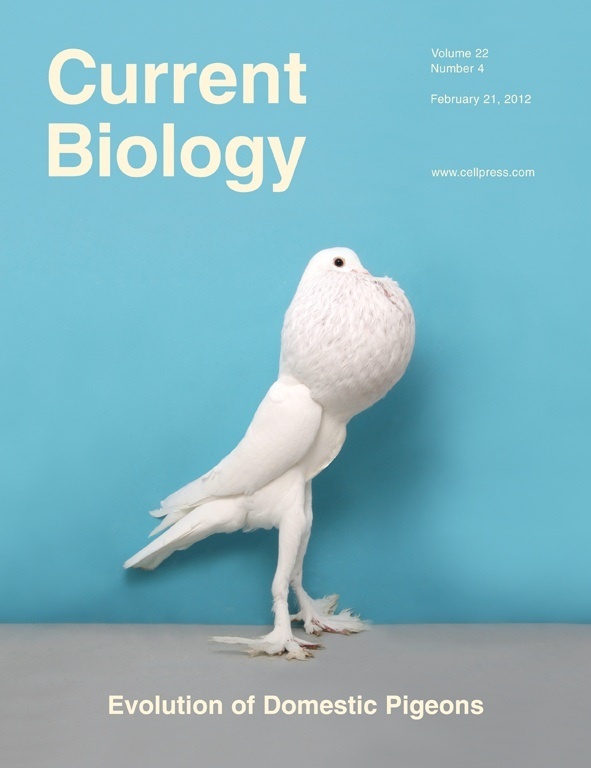 Check out the March 22 issue of Science for reviews of 10 science/tech-themed films! Click here for a version outside the paywall. S.M. Villa, J.C. Altuna, J.S. Ruff, A.B. Beach, L.I. Mulvey, E.J. Poole, H.E. Campbell, K.P. Johnson, M.D. Shapiro, S.E. Bush, and D.H. Clayton. Reproductive isolation arises as a by-product of rapid local adaptation in a natural population. bioRxiv. S.E. Bush, S.M. Villa, J.C. Altuna, K.P. Johnson, M.D. Shapiro, D.H. Clayton. Host defence triggers rapid adaptive radiation in experimentally evolving parasites. bioRxiv. We welcome Bridget Phillips, who joins us as an undergraduate lab aide! 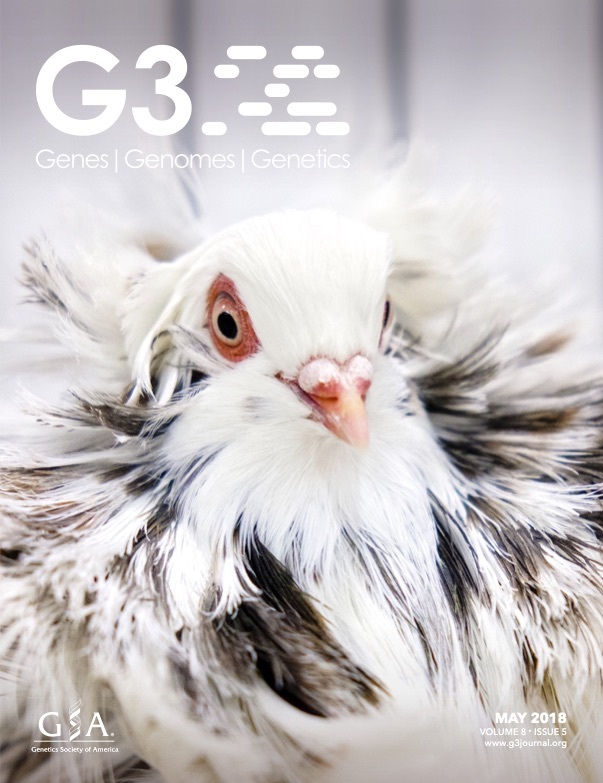 A bar walks into a pigeon with a checkered past - our study of pigmentation genetics and introgression is now available at eLife! Be sure to check out the excellent Insights commentary article by Feigin and Mallarino. We welcome Madeline van Hollebeke, who joins us as a lab assistant! 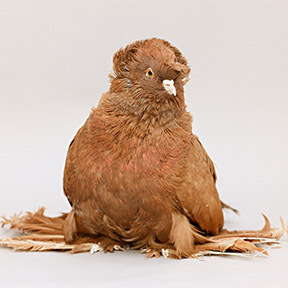 Anna's paper on color pattern genetics and introgression in pigeons was accepted for publication at eLife - congrats to Anna and our collaborators at the University of Utah, M.D. Anderson, and University of Illinois! C. Holt, M. Campbell, D.A. Keays, N. Edelman, A. Kapusta, E. Maclary, E. Domyan, A. Suh, W.C. Warren, M. Yandell, M.T.P. Gilbert, M.D. Shapiro. Improved genome assembly and annotation for the rock pigeon (Columba livia). G3: Genes | Genomes | Genetics 8(5): 1391-1398. Link to the paper on the journal's website. Congratulations to Raquel Maynez and Max Sidesinger on their graduation with bachelor's degrees from the U! Alexa Davis joined the lab through the ACCESS Program for Women in Science & Mathematics. Welcome! A.I. Vickrey, R. Bruders, Z. Kronenberg, E. Mackey, R.J. Bohlender, E. Maclary, E.J. Osborne, K.P. Johnson, C.D. Huff, M. Yandell, M.D. Shapiro. Protein-coding variation and introgression of regulatory alleles drive plumage pattern diversity in the rock pigeon. bioRxiv doi: https://doi.org/10.1101/242552. Congratulations to Max Sidesinger, recipient of an Undergraduate Research Opportunity Program award! C. Holt, M. Campbell, D.A. Keays, N. Edelman, A. Kapusta, E. Maclary, E. Domyan, A. Suh, W.C. Warren, M. Yandell, M.T.P. Gilbert, M.D. Shapiro. Improved genome assembly and annotation for the rock pigeon (Columba livia). bioRxiv doi: https://doi.org/10.1101/220947. Emily presented her latest work at the Southwest Regional Meeting of the Society for Developmental Biology in Houston. E.F. Boer, H.F. Van Hollebecke, M.D. Shapiro. Genomic determinants of epidermal appendage patterning and structure in domestic birds. Developmental Biology 429: 409-419. Congratulations to grad student Anna Vickrey, winner of the Walter M. Fitch Award for best young investigator talk at the SMBE annual meeting! Rebecca and Anna presented their research at the Society for Molecular Biology and Evolution annual meeting in Austin, TX. Final, paginated version of our "Pigeonetics" review article is now available at Developmental Biology. Open access! Congratulations to postdoc Emily Maclary, who was named a Fellow of the Jane Coffin Childs Memorial Fund for Medical Research! We welcome new undergraduate researchers Tyler Gilvarry and Rhiannon Turner! Congratulations to undergrad Raquel Maynez, who received a Society for Developmental Biology "Choose Development" fellowship! Welcome to new postdoc Jim Baldwin-Brown! Jim will be co-advised by Mike and by Nitin Phadnis. B.M. Boyd, J.A. Allen, N. Nguyen, A.D. Sweet, T. Warnow, M.D. Shapiro, S. Villa, S. Bush, D. Clayton, K.P. Johnson. Phylogenomics using target-restricted assembly resolves intra-generic relationships of parasitic lice (Phthiraptera: Columbicola). Systematic Biology. Link to accepted manuscript. Our collaborative grant on dietary adaptation with Denise Dearing's lab was recommended for funding by NSF! Congratulations to undergrad Hannah van Hollebecke for receiving a University Research Opportunities Program grant to continue her research! We welcome Max Sidesinger, who joined the lab as an undergraduate researcher. Our work is featured in the latest College of Science research report. New in Developmental Biology: E.T. Domyan, M.D. Shapiro. 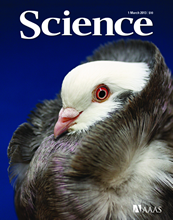 Pigeonetics takes flight: Evolution, development, and genetics of intraspecific variation. Postdoc Elena Boer completed the Gene Regutory Networks for Development course at the Woods Hole MBL. We welcome Raquel Maynez, who joined the lab as an undergraduate researcher. We welcome Emily Maclary, who joined the lab as a postdoctoral fellow. Mike was named a University of Utah Presidential Scholar for 2016-2019. Anna and Rebecca are presenting their research at The Allied Genetics Conference in Orlando, FL. Congratulations to graduate student Anna Vickrey for receiving a DeLill Nasser Award from the Genetics Society of America! Congratulations to undergraduate Tennyson George for receiving a Biology Undergraduate Research Program summer research grant! Mike was the guest for Episode 7 of the This Week in Evolution podcast, hosted by Nels Elde and Vincent Racaniello. Congratulations to Anna Vickrey for receiving an NSF Graduate Research Fellowship! Our work on the genetics of feathered feet was highlighted in Nature. Mike and Elena presented research updates at the Avian Model Systems 9 conference in Taipei, Taiwan. E.T. Domyan, Z. Kronenberg, C. Infante, A.I. Vickrey, S.A. Stringham, R. Bruders, M.W. Guernsey, S. Park, J. Payne, R. Beckstead, G. Kardon, D.B. Menke, M. Yandell, M.D. Shapiro. Molecular shifts in limb identity underlie development of feathered feet in two domestic avian species. eLife 5:e12115. Get the open-access (free) paper online here. Hannah van Hollebecke joined the lab as an undergraduate researcher. Welcome! Mike gave an update on our research at the Plant and Animal Genomes meeting in San Diego. We received a NSF Research Experience for Undergraduates supplement to fund 2 projects in the lab!